R is a software programming language. It is statistical graphic representation. It is computer programming language. Data Scientists always used this programming Language. It's allows looping modular function.it is integrated by python,c++,c and .Net also. The Licence free available for GNU GPL. 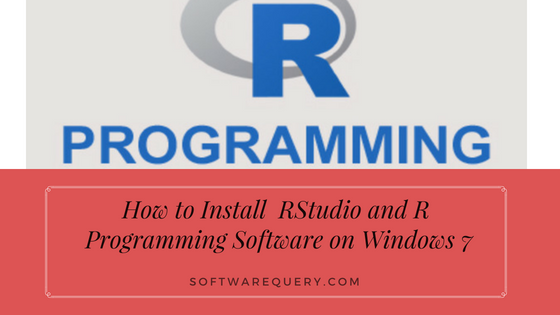 The software of R programming Language is free available on linux and All version of windows. It is provide a functionality of graphics for data analysis and also display the computer printing paper. It is most popular world widely statistics programming language. This Programming Language used various types of Data Types For Example Data Frames,Factors, Arrays, Matrices,Lists, Vectors. you see there are three links click a download on windows. Step-2. After open next page there are three links again click first one base link. Step-3.Click a link Download 3.5.1 for windows. Step-4. After Download setup install a setup click run button. Step-5. Select a Setup Language according to your choise. Step-6. Please read all information carefully then click next button. Step-7. Please read all information carefully then click next button. Step-8. If you have 32 bit windows operating system then select 32 bit or if you have 64 bit windows operating system then select 64 bit and also select message translations then click next button. Step-9. If you want to customized then select yes or select default then choose no. Step-10. Atfer select no choose MDI it a big window. Step-11. Please define location if u want default then press next button. Step-12. Select create a desktop shortcut and also select save version number in registry or associate with RData files then press next button. Step-13. Wait for 2-3 Second to installing setup. Step-14. After Successfully installation click this icon and open it. Step-16. Select RStudio open source free download button and click to download. Step-17. Select window7 window 8 window10 and click it. Step-19 Choose the location where you to want download this setup. Step-20 If your not create shortcuts click do not create shortcuts or click install button. Step-21 Wait for 2-3 Second to installing process. Step-22 Your process will be completed click finish button. Step-23 Go to desktop click shortcut RStudio button and open it.